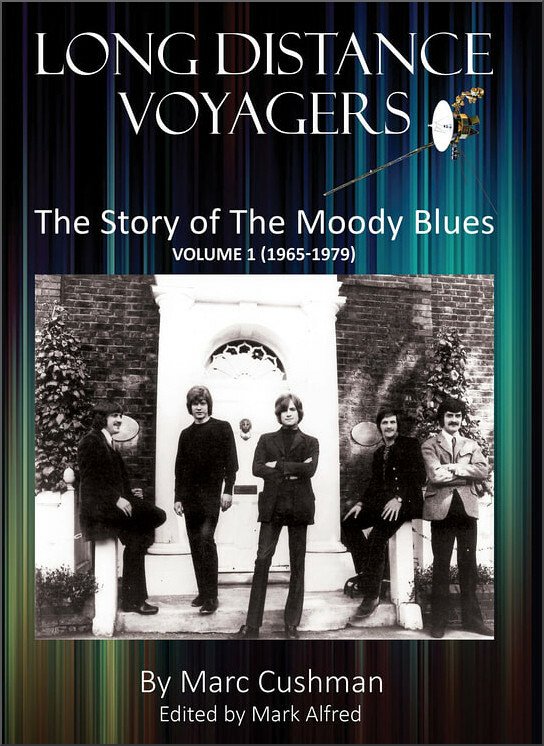 Long Distance Voyagers is a 796 page resource book about the Moody Blues rock band. Surprisingly given the high profile of the band - they have sold more than 80 million records and were one of the pioneers of the concept album and of classic rock - this is the first major volume devoted to their oeuvre. The book is the labour of love of Marc Cushman, who is best known for his monumental books analysing Star Trek and Irwin Allen’s Lost in Space series. This latest massive volume is equally monumental - it is only volume one taking the story of the band up to 1979. Professionally I was an early adopter of the internet, now I am an early rejecter who is spending more and more time reading printed pages. My recent reading included Michio Kaku's Parallel Worlds. Kaku's exposition of superstring theory left me marvelling at the similarities between Sufi musicians and teacher Hazrat Inayat Khan's teachings about vibrations and the current cutting-edge research of theoretical physicists. This in turn led me to reread my interview with Jonathan Harvey, in which Jonathan, possibly unconsciously, links music to superstring theory in this reply: "And the question of whether music can transform matter is a very big question. We all know about the soprano shattering the wine glass. It’s all vibrations, I mean music and the world, everything is oscillation". That 2010 interview with Jonathan Harvey took a lot of time and effort to produce; but the result was a valuable online resource that reached a large audience. However I would not undertake such a project today. Because I know that unless my subject could dish dirt about Brexit or abuse, or even better dish dirt about abuse in a music school with a Brexit supporter as principal and where James Levine gave conducting masterclasses, the readership would not justify the effort required to create it. And I know that because my views are at variance with classical music's mutual admiration society, there would be no chance of the interview being shared by our self-serving cultural commentators via the final arbiter of exposure - social media. We created a miracle in the internet, and we have turned it into a monster. Thank goodness, to misquote Paul Simon, I have my books and my CDs to protect me. Today one of our cultural commentators is compulsively tweeting about the decline in earnings of mid-list authors. A few days ago the same cultural commentator was bragging that their blog had won a phony award from a social media platform deploying a business model that depends on undermining the value system in publishing. Which part of problem don't they understand?